Roads, roads, and more roads. 23,370 roads that have undergone positional accuracy improvements - not only have we completed all arterial roads across the entire country, these latest improvements bring the total number of local authority areas with roads accurate to within two metres to 53. Watch this space: by July, we'll have completed the whole country! 166 roads with road name alterations. No rogue lines or pointy corners here - just accurate, beautiful curves. 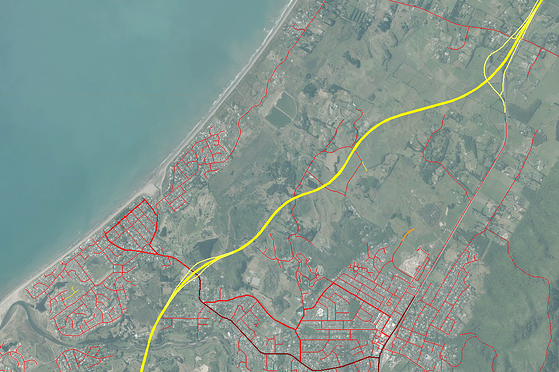 Out of all the new roads added, the two most significant ones that went live in this release are the Kapiti Expressway north of Wellington and Waterview Connection in Auckland - both major changes in the New Zealand road network. 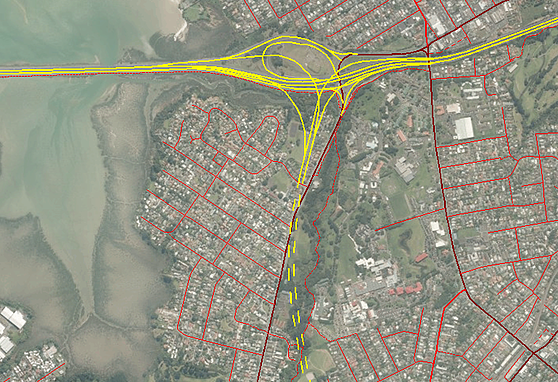 We've been working on the Kapiti Expressway and the Waterview Connection for a while - developing precise, comprehensive and accurate roads within NationalMap before the roads themselves were even completed - in fact, Waterview's opening has been pushed back a couple of months, but the data is ready and waiting! When natural disasters change our landscape, NationalMap changes with it. As we all witnessed, the Kaikoura earthquakes caused extensive damage to a significant area in and around the town. 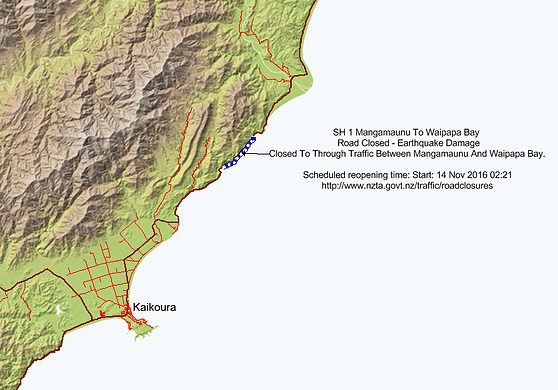 An 11km stretch of State Highway One north of Kaikoura township is closed for repairs until November this year so, in light of this, we've disconnected it from the rest of the network in NationalMap, ensuring it isn't picked up by routing applications, causing users any confusion, lost time and money, or danger. disconnected in NationalMap so routing applications can't recognise and use it. A review of the parks and reserves around the Christchurch Port Hills area following the recent fire events there. With roads and areas in both quake-effected regions constantly changing due to rebuilds and clean ups, we want to ensure that the data you're getting is as up to date as possible - giving you a true overview and user experience. 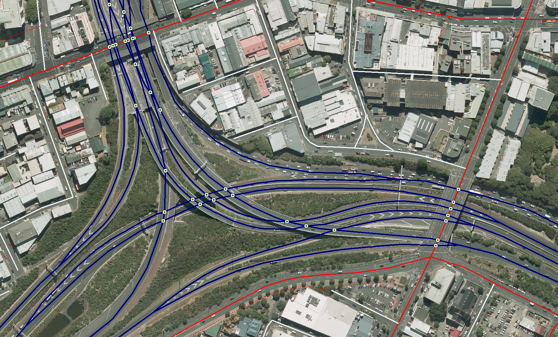 Motorway junctions, Retail Areas, and Shopping Areas just got even more accurate. This NationalMap release also includes an additional 26 motorway junctions added in various parts around the country, as well as reviews of Retail and Shopping Areas. The Retail Areas dataset was reviewed to both check the validity of existing areas, and add in new areas that fit with the requirements. A full review of the Shopping Areas was also completed, refining requirements for capturing shopping centres, as well as updating the data with the latest shopping centres.